Malta Maritime Directory :: ABB to power Ritz Carlton Yacht Collection's first vessel dubbed the "anti-cruise ship"
Comment about: ABB to power Ritz Carlton Yacht Collection's first vessel dubbed the "anti-cruise ship"
ABB to power Ritz Carlton Yacht Collection's first vessel dubbed the "anti-cruise ship"
ABB will provide the power and propulsion for the first in a series of groundbreaking vessels that mark Ritz Carlton’s first foray into the maritime sector. 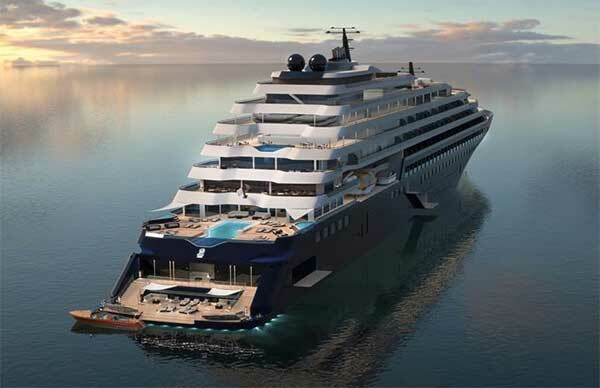 The 190-meter long vessel has been dubbed the “anti-cruise ship” because it can accommodate just 298 passengers and is aimed at providing a more bespoke service than larger cruise ships. The pioneering nature of the project is matched by ABB’s solutions that will optimize energy efficiency and allow the vessel to be remotely monitored from shore. Two Azipod® D propulsors will enable the ship to maneuver efficiently and effectively whilst the Remote Diagnostics Service will empower a smarter approach to maintenance.